↑ 4.0 4.1 4.2 Herrera, Hayden (1983). A Biography of Frida Kahlo. প্ৰকাশক New York: HarperCollins. ISBN 978-0-06-008589-6. 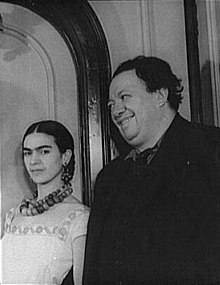 ↑ "Frida Kahlo". Smithsonian.com. http://www.smithsonianmag.com/arts-culture/kahlo.html। আহৰণ কৰা হৈছে: 2008-02-18. ↑ Klein, Adam G. (2005). Frida Kahlo. প্ৰকাশক Edina, Minn.: ABDO Pub. Co.. ISBN 9781596797314. http://books.google.com/books?id=s2PcJCeS_4kC। আহৰণ কৰা হৈছে: 8 July 2013. ↑ Levine, Barbara. Finding Frida Kahlo: An Unexpected Archive. New York: Princeton Architectural, 2009. Print. ↑ Andrea, Kettenmann (1993). Frida Kahlo: Pain and Passion. প্ৰকাশক Köln: Benedikt Taschen Verlag GmbH. পৃষ্ঠা. 3. ISBN 3-8228-9636-5. ↑ Emerich, Luis Carlos (1989). Figuraciones y desfiguros de los ochentas. প্ৰকাশক Mexico City: Editorial Diana. ISBN 968-13-1908-7. ↑ Helland, Janice (Fall 1990/Winter 1991). "Aztec Imagery in Frida Kahlo's Paintings". Woman's Art Journal খণ্ড 11: 8–13. https://www.msu.edu/course/ha/240/fridakahlo.pdf। আহৰণ কৰা হৈছে: 26 June 2013.